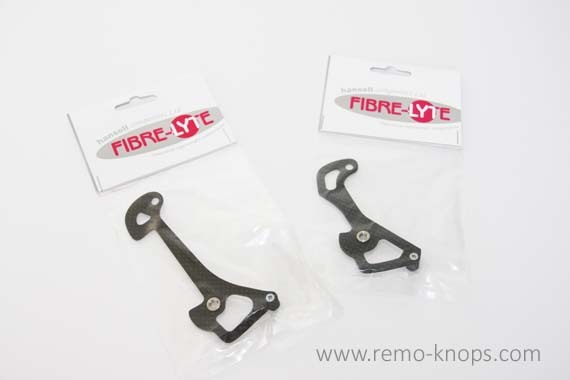 Fibre Lyte Gear Mech Plate is a cool tuning part, available for all major Shimano, Sram and Campagnolo rear-derailleurs. Fibre Lyte Gear Mech Plates are available for road bikes and mountain bikes. In this article I will show you the design and installation of the Fibre Lyte Gear Mech Plate for Shimano Dura Ace 9000 rear derailleur. In the picture above you can see both the Fibre Lyte Gear Mech Plate for Dura Ace 9000 (on the left) and the stock aluminum gear mech plate of the Dura Ace 9000 (on the right). You probably notice that the I’ve ordered a version with a chain guide at the bottom rear derailleur pulley. There is also a version without chain guides and there is an ultra light version that weighs just 2 grams. In the picture above you can see that the design and shape of the Fibre Lyte Gear Mech Plate for Dura Ace 9000 is almost equal to the stock version. The installation of the Fibre Lyte Gear Mech Plate for Dura Ace 9000 is a piece of cake and takes you 5 minutes. You can also do the replacement fairly easy when you have your (road)bike in a workstand with the rear derailleur still attached to the bike. If you are a weightweenies and you would like to shave some last grams from your lightweight bike than the Fibre Lyte Gear Mech Plates are a tuning part to consider. 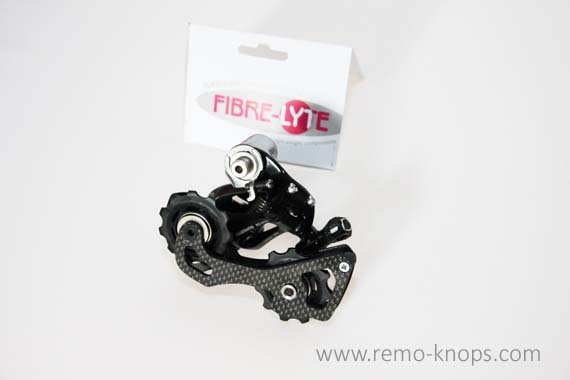 The stock rear derailleur gear mech plate from your Shimano, Sram or Campagnolo derailleur is replaced with a carbon fibre version of United Kingdom based firm Fibre Lyte. On the gear mech plate product page Fibre Lyte offers a clear overview of the available gear mech plates. The Shimano Dura Ace 9000 version has a a price-point of GBP 16,50 and a specific code that you need in the ordering process: FLRDSHR10. You simply sent an e-mail to sales@fibre-lyte.co.uk and you will get a total price including shipping costs. No fancy webshop, but high quality products. Hansell Composites Ltd. with the Fibre Lyte products offers excellent products for Bicycle parts, radio controlled model parts, motor parts, motor sports racing and custom parts. As long as carbon fibre is involved Hansell Composites Ltd can help you. 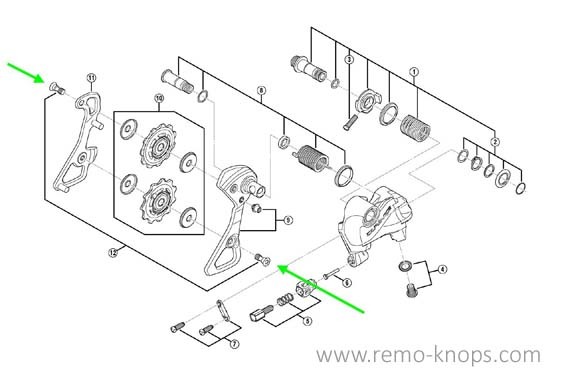 Hey!, I found this information for you: "Fibre Lyte Gear Mech Plate Shimano Dura Ace 9000". 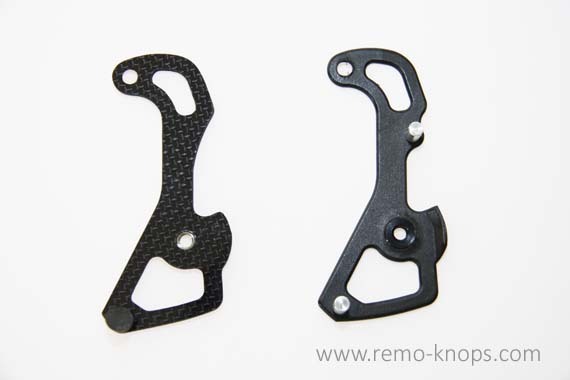 Here is the website link: https://www.remo-knops.com/6058/fibre-lyte-gear-mech-plate-shimano-dura-ace-9000/. Thank you.